LOCATION! LOCATION! 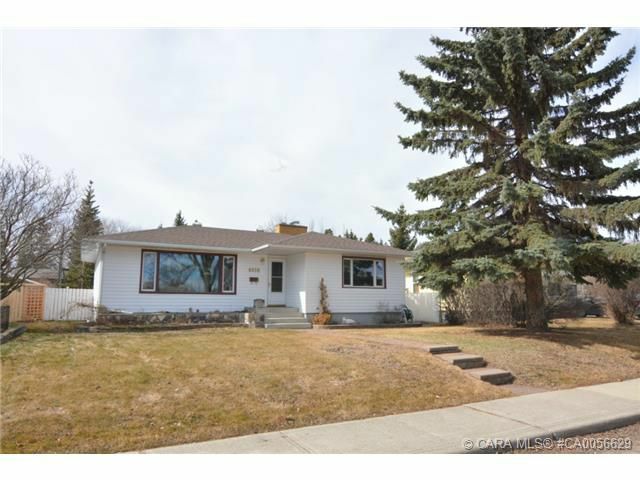 One the most desirable mature subdivisions in Red Deer- Grandview. Plenty of grass and trees to enjoy with the large 55 x 135 ft lot and the large park across the street. Solid bungalow with a balance of character from yesterday (beautiful oak hardwood floors throughout the main, coved decorative ceilings with moulding) and desirable updates for enjoyable and comfortable living today. This home has seen many updates over the last decade-including furnace, hot water tank, bathroom fixtures, windows, shingles (2012) and siding (Oct 2014), aluminium soffits & fascia, insulation, walkways, and concrete parking pads. Professionally installed paving stone walkways and patio, concrete parking pads (for RV/boat storage, or extra parking) Paved rear lane.